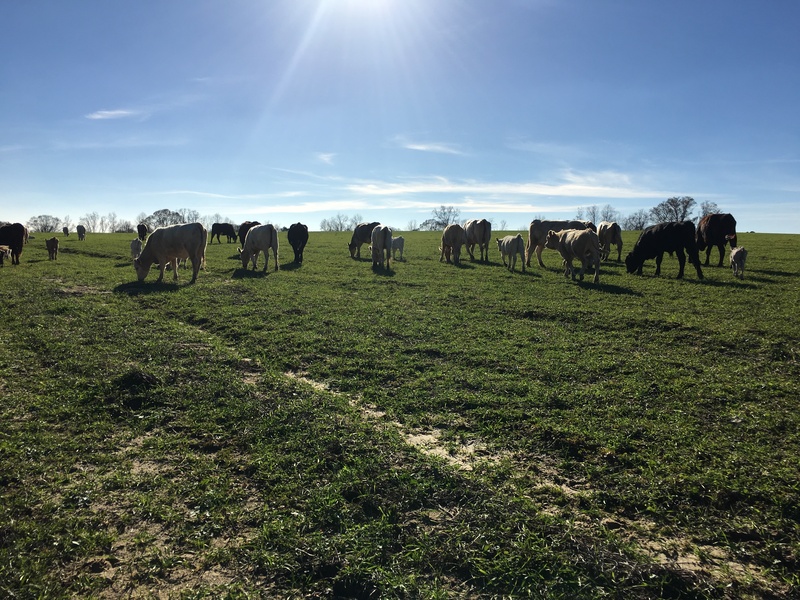 Our cows enjoy free range over more than 200 acres of pasture and woods. 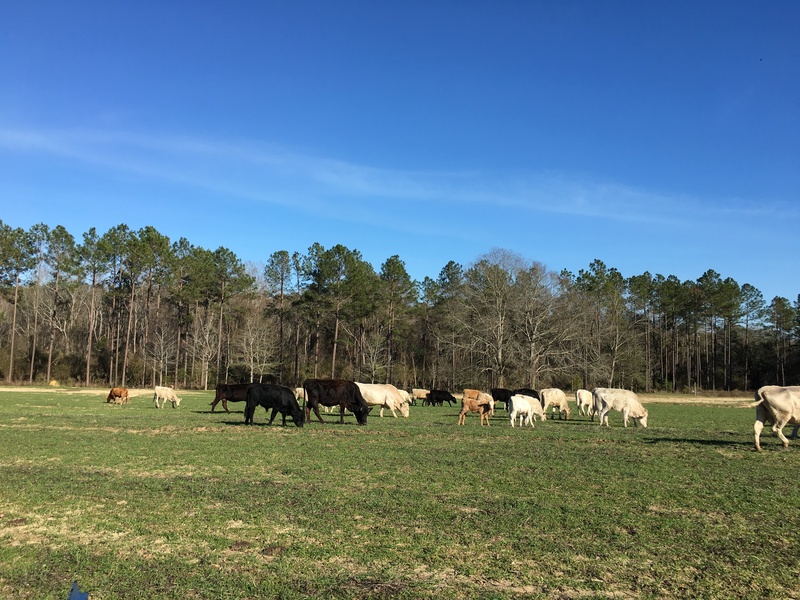 Our cows eat grass (pending organic certification). Never corn, oats, molasses, etc. Our cows never receive steroids, antibiotics, or hormones or any kind. All our cows were born on my farm, allowing me to control the genetics of the cattle. No city water has ever graced their lips, which means no fluoride or chlorine has either. We’ll offer many ways for you to customize what cuts of beef you take home. Purchase whole, half, quarter and eighth cows. From ground beef to filet mignon, we sell specific cuts. Ask about our seasonal vegetables and fruit! We offer whole, half, quarter and eighth cows, Click below for info on pricing and details. Your deposit is due upon placing your order; pay the remainder when your meat is delivered. We deliver to your door in the Metro-Atlanta area, and can ship smaller orders if necessary. I’m a seventh generation family farmer, raised on my daddy’s farm in sunny south Georgia. It is my passion to raise and sell food the way my grandparents (and great-grandparents!) did. Raising trustworthy food without chemicals, medications, or any factory farming techniques. Healthy, pastured cattle and hand planted (by me personally) heirloom produce, never coated with pesticides or herbicides. My dream is to bring back the golden days of farming: when farmers could feed their food to their own children, when neighbors could trust their local farmers to provide safe and responsible nutrition. Unfortunately, in these times, many food safety terms have become simply buzzwords–“free range,” “grass fed,” “antibiotic free” are no longer regulated terms. Stores are no longer required to state the country of origin on their meat and produce. I believe the only way to ensure your safety is to form a relationship with your local farmer; I want to be that farmer for you. If I am not, I would still like to help you find someone to fill your family’s needs. Welcome to Copperhead Homestead, y’all.